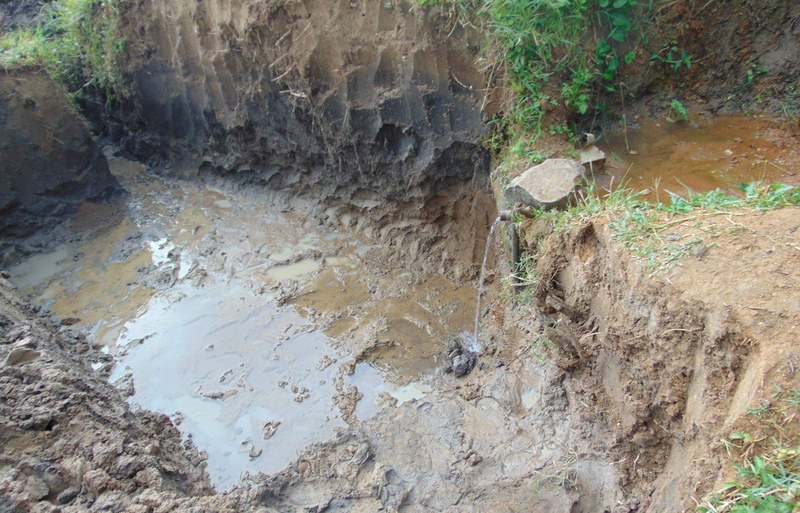 Ndalusia Spring is located in Musango Village of Kakamega County. 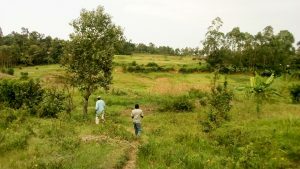 With this being a rural community, its 120 people wake early in the morning with the aim of tackling farm work. The women prepare children for school and get breakfast ready for the family. 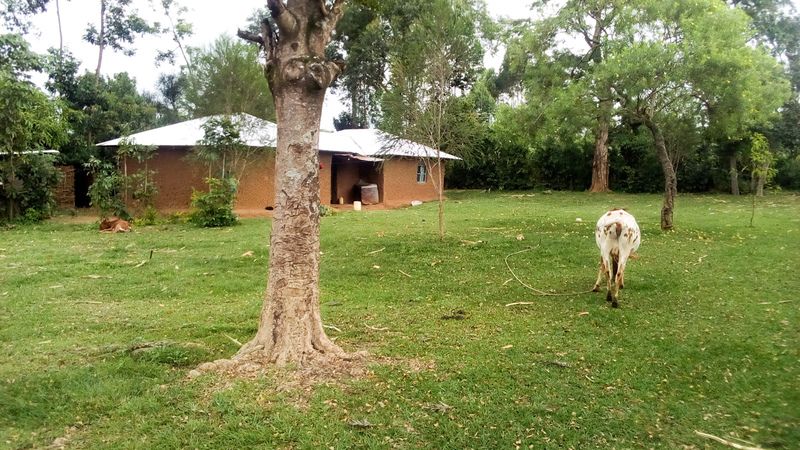 During this time, the men milk the cows and prepare grass for them to feed. 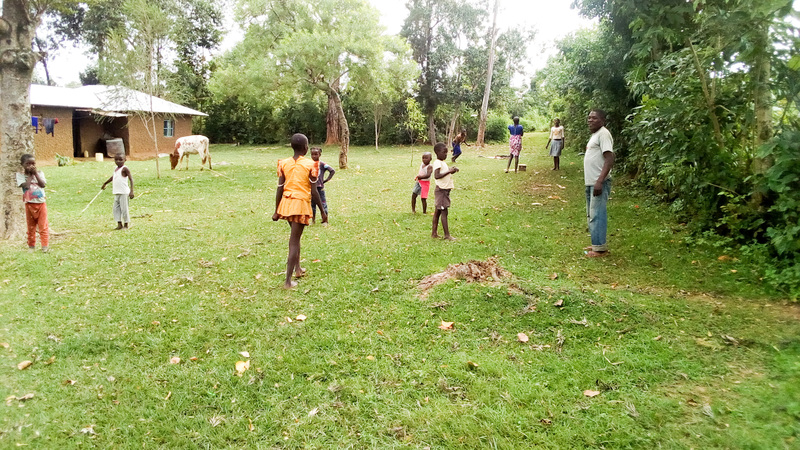 The children then leave for school while the parents remain to finalize home chores before heading to the farm. 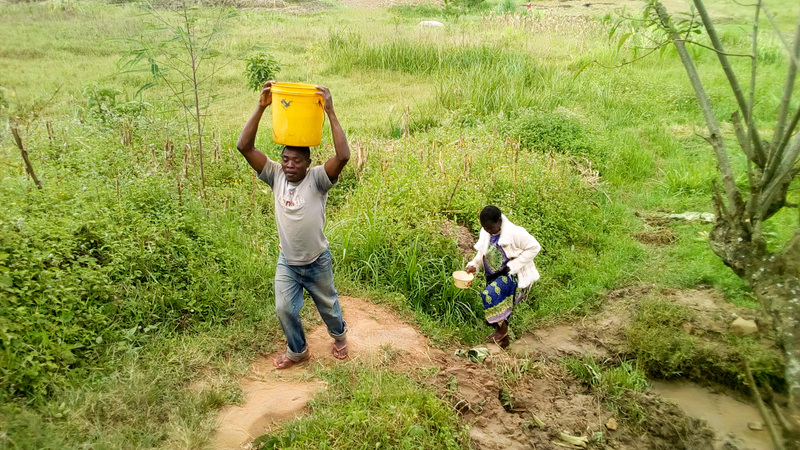 One of the chores that women do in the morning before going to the farm is fetching water. 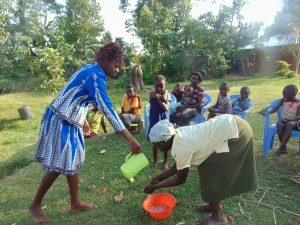 Young men and children also help the elderly fetch water. 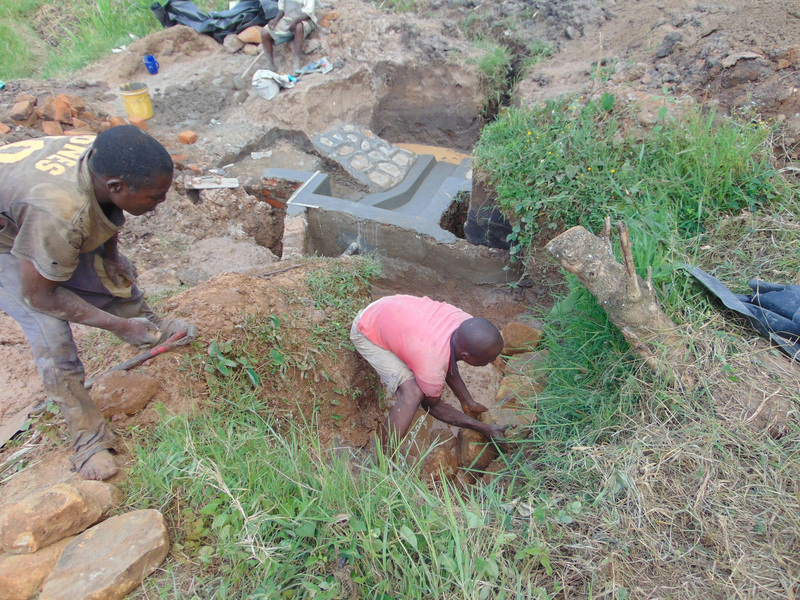 Ndalusia Spring is found at the farm of Mama Eldah Chiteli, just a short distance from the town center. One can access Musango Village by both car and motorbike. 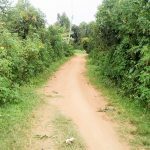 The road Kakamega to Makunga is paved to Makunga shopping center. 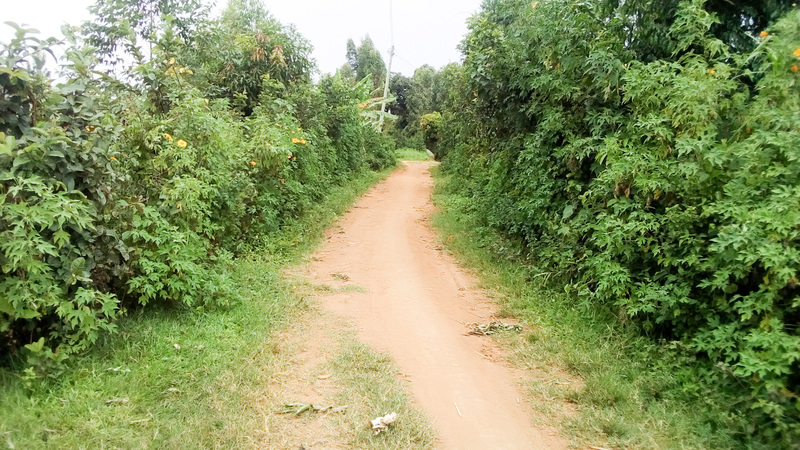 At this center, one takes to the murram road that leads to Musango Village. 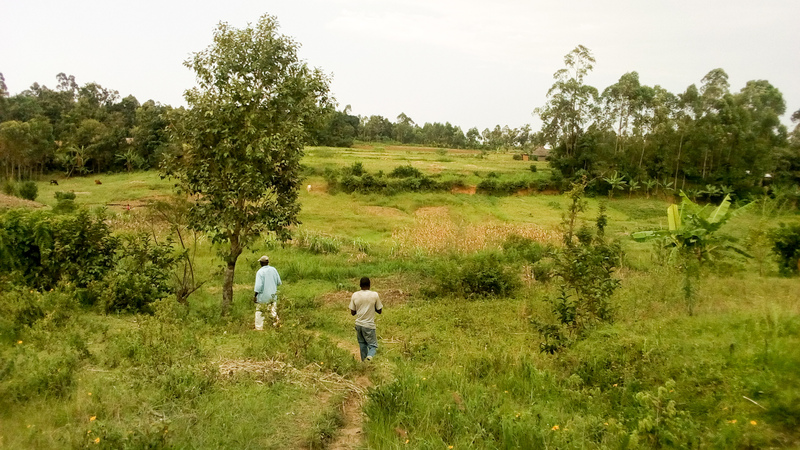 A small path leads downstream from Chiteli’s compound to the spring. 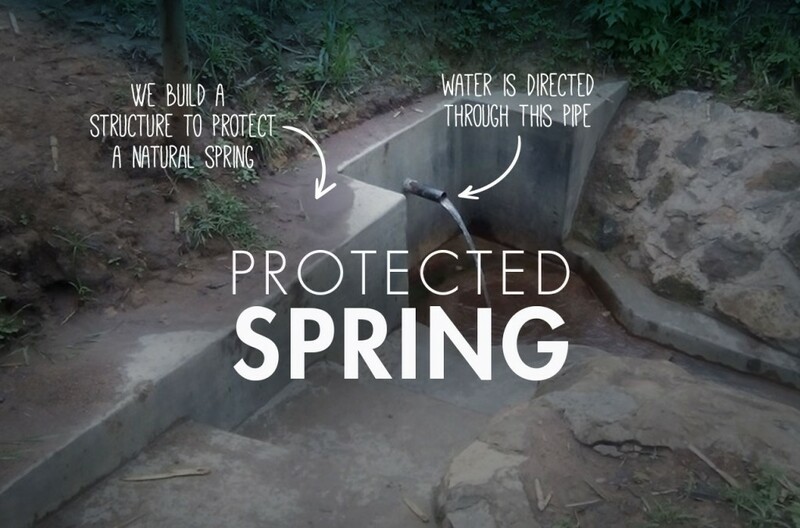 The unprotected spring serves many people who walk a short time before getting to the unprotected spring. 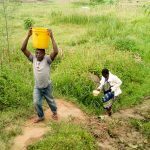 The paths that the people take to the spring are overgrown and have potholes, making the journey difficult for the elderly to fetch water. 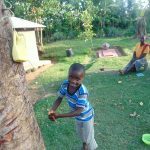 One goes to the spring with either a jug, a bowl or any small container that he or she will use to scoop water from the springs water source that has been dug out. 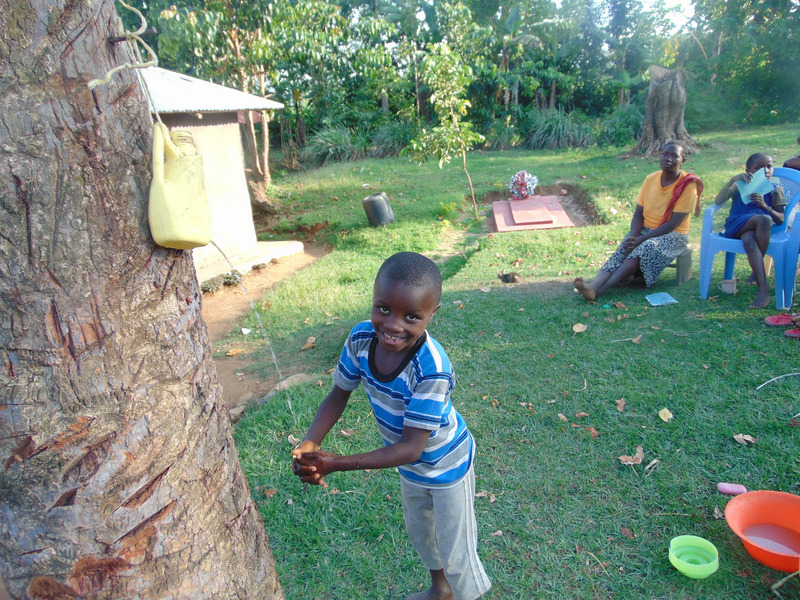 This is then poured into the jerrycan or bucket to be carried home. 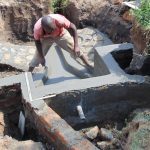 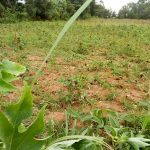 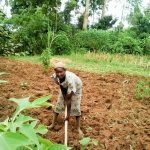 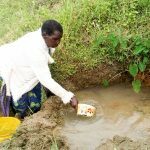 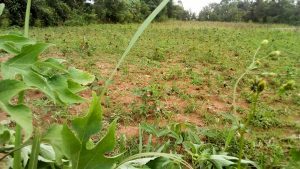 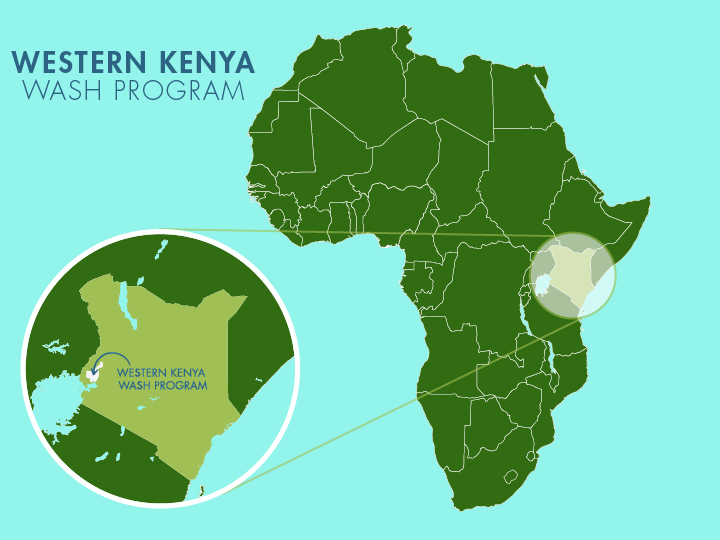 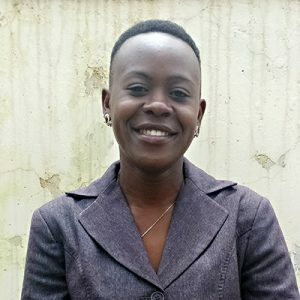 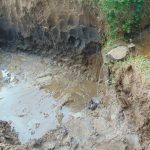 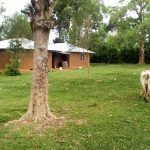 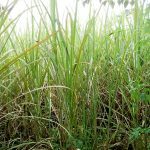 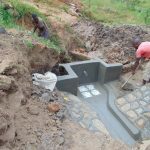 It is an open source, which leaves it prone to contamination and gets even worse during the rainy season as runoff from farms drains into the water. 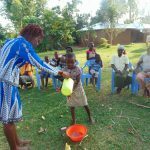 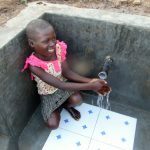 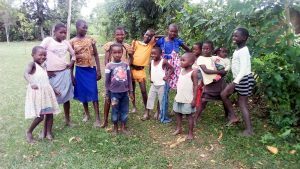 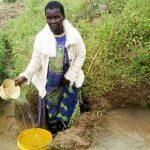 The people of Musango, especially the women, have a hard time taking care of their children due to the fact that they often fall sick from drinking the water. They spend their hard earned money on medication to treat the waterborne illnesses. 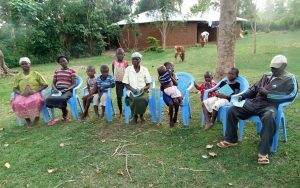 This robs them off their time that would have been used doing other productive activities. 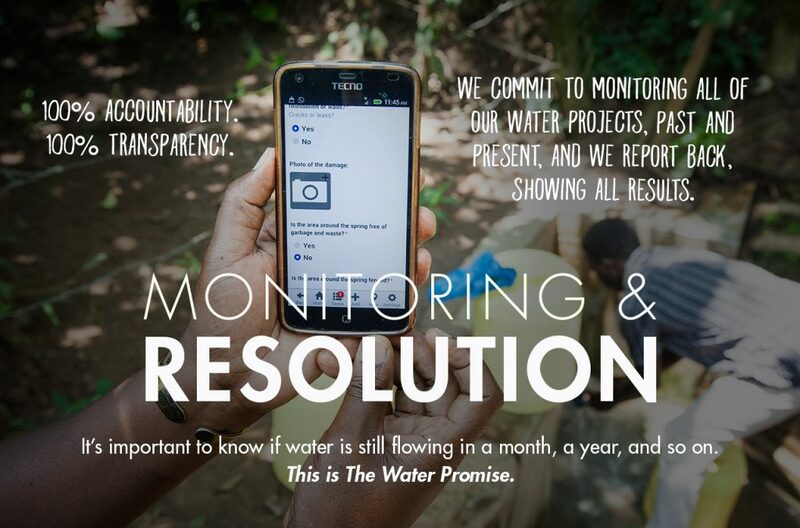 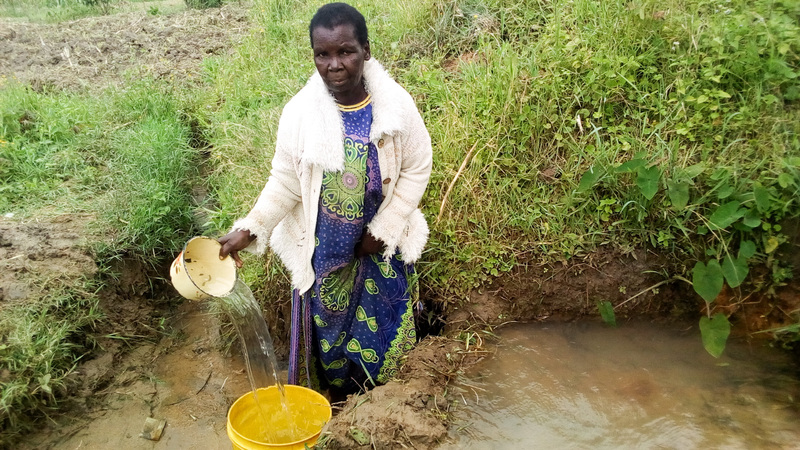 “I can’t even mention all the problems we have had as a result of using this water. 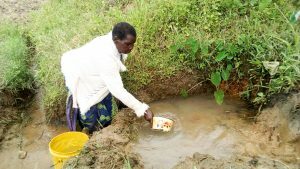 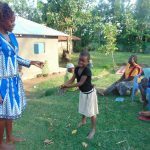 We have had diarrhea and typhoid,” said Mrs. Eldah Chiteli. 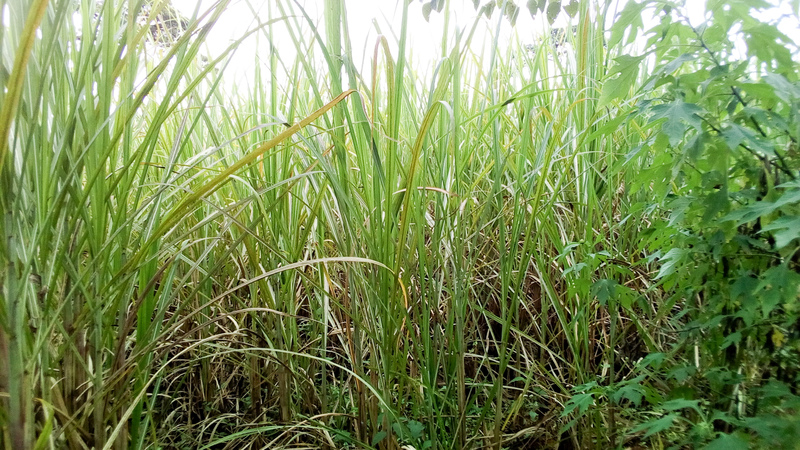 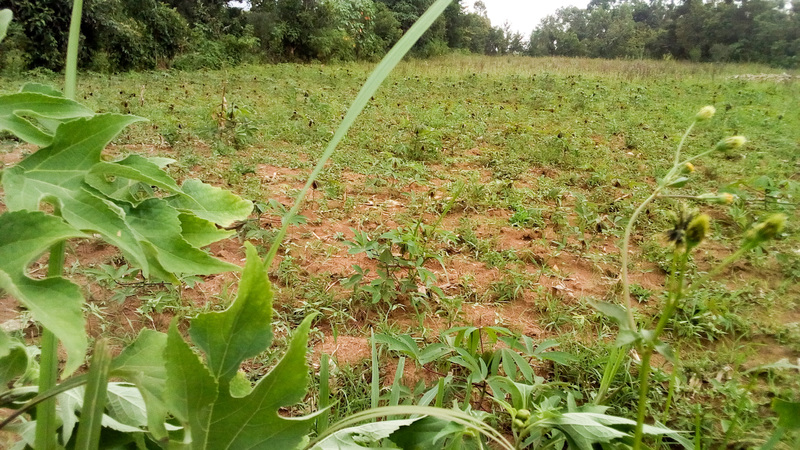 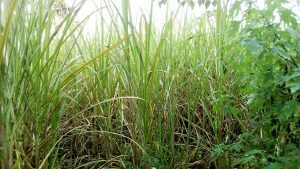 Musango is highly vegetated with trees growing and the farms full of sugarcane that is grown for commercial purposes. 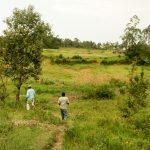 The area is rural with a peaceful environment as you get deeper into the village. The houses are a mixture of permanent and temporary. 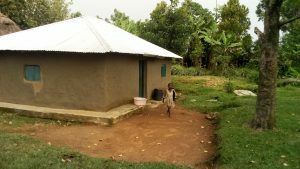 Some are iron-roofed while others are thatched. Few families meet over lunch. 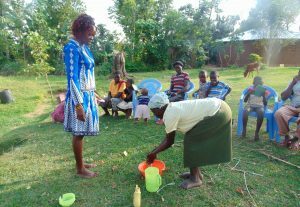 Many will have tea that was served for breakfast as lunch. 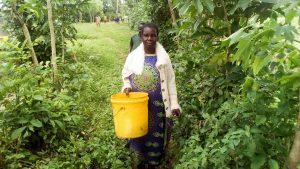 On days set as market days, the women might leave the farms early so that they can visit the market and buy some house commodities. The men will go selling and buying cows on Saturdays. 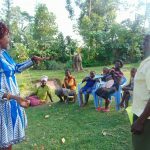 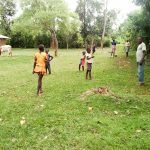 In the evening the children and women are at home doing house chores while the men can be found at the nearest shopping center catching up on different topics like politics, soccer and farming. 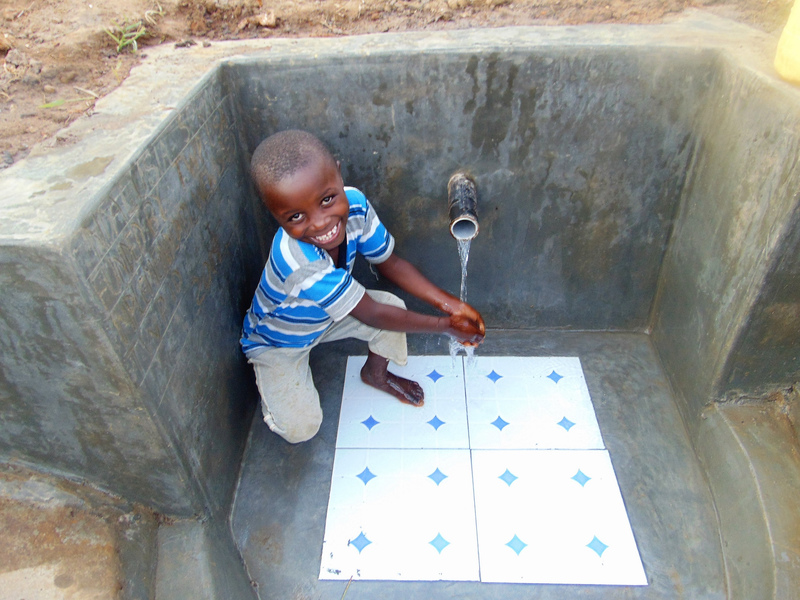 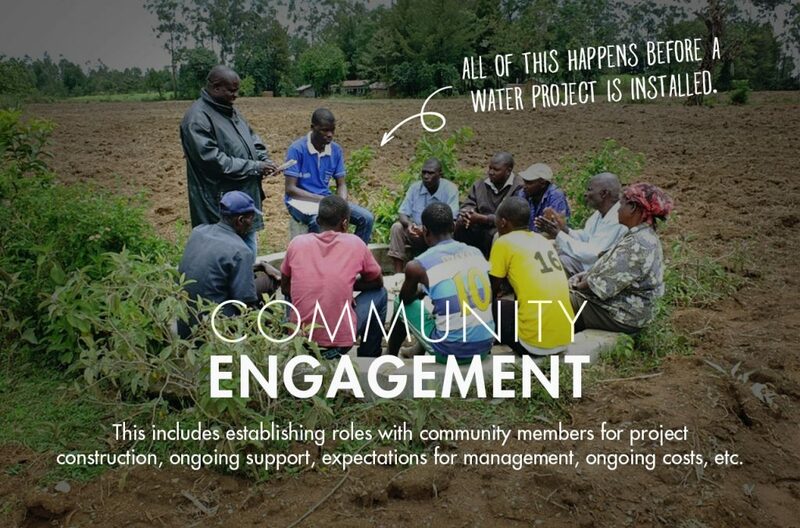 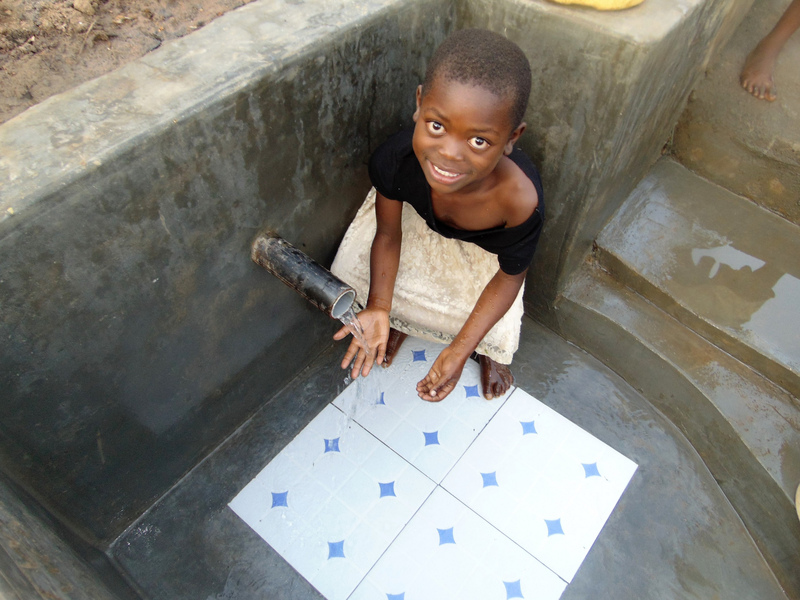 Musango Community is celebrating their new protected spring, so celebrate with them! 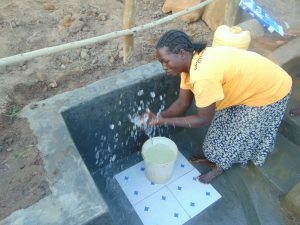 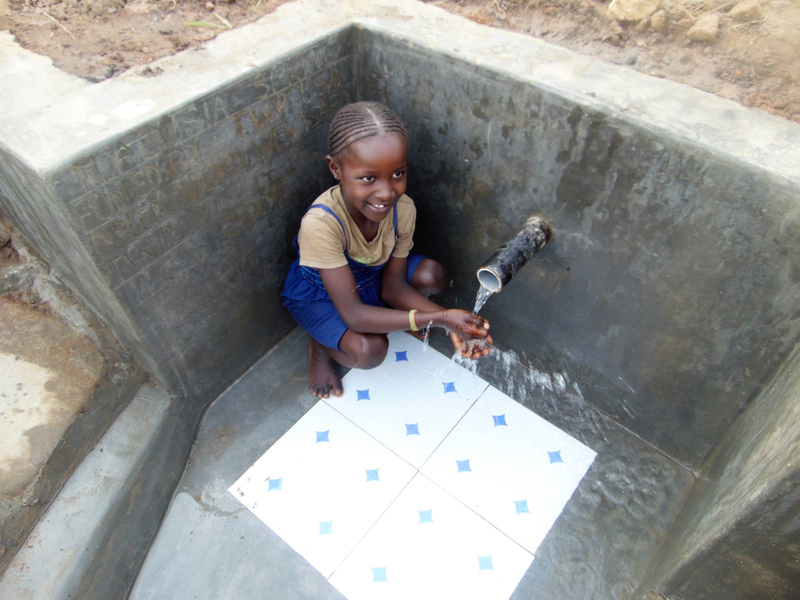 Ndalusia Spring has been transformed into a flowing, safe source of water thanks to your donation. 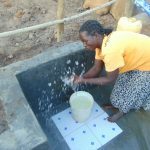 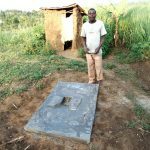 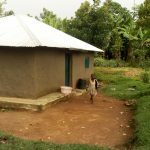 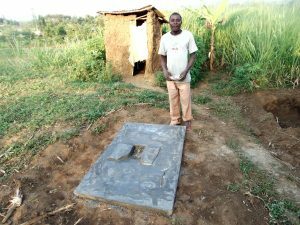 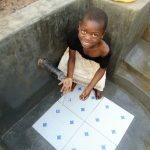 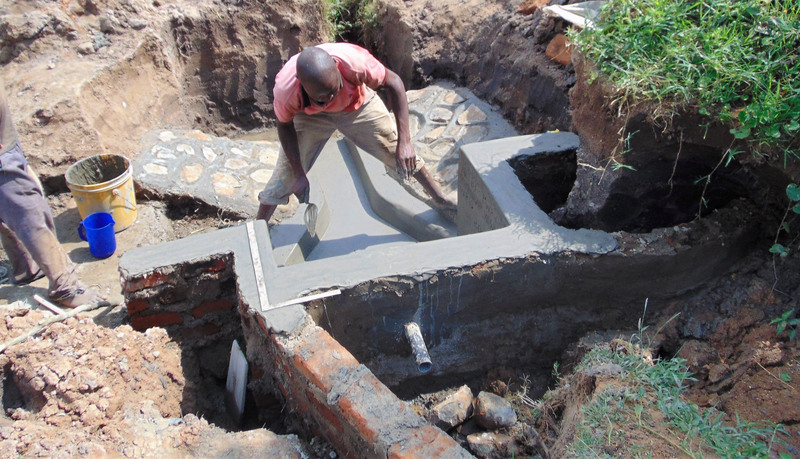 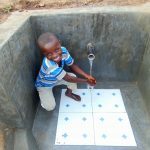 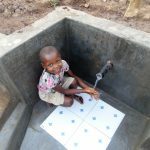 The spring is protected from contamination, five sanitation platforms have been provided for the community, and training has been done on sanitation and hygiene. 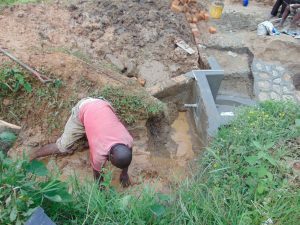 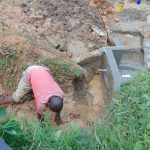 Construction at Ndalusia Spring was successful and water is now flowing from the discharge pipe. 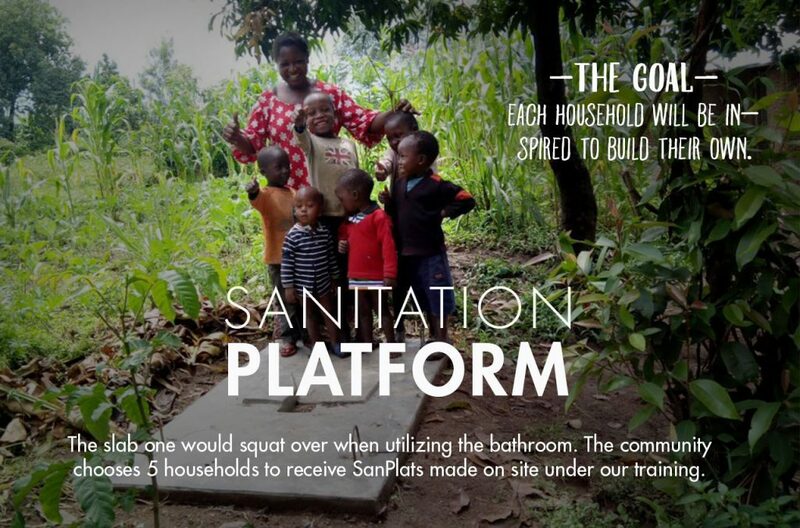 “Finally, the unimaginable has happened. 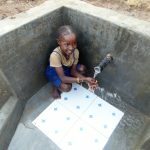 I never thought of a day that I would draw water flowing from a pipe. I am so, so happy. 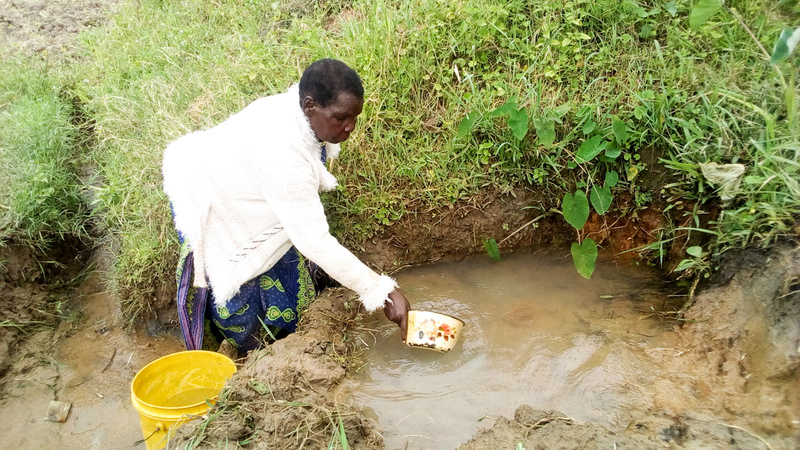 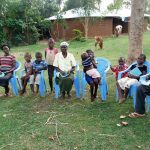 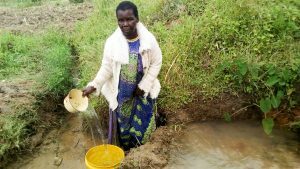 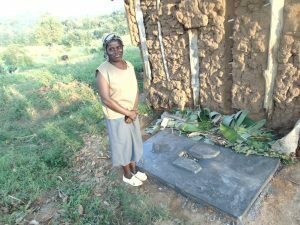 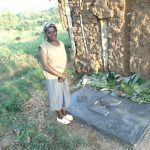 My grandchildren can now fetch water so easily and within a short time,” said Mrs. Chiteli. Community members provided all locally available construction materials, e.g bricks, wheelbarrows of clean sand, wheelbarrows of ballast, and gravel. 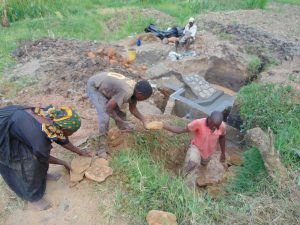 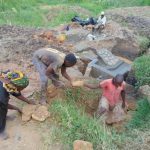 This process was delayed at times that they community had thought they gathered enough stones, but then the artisan would need more. 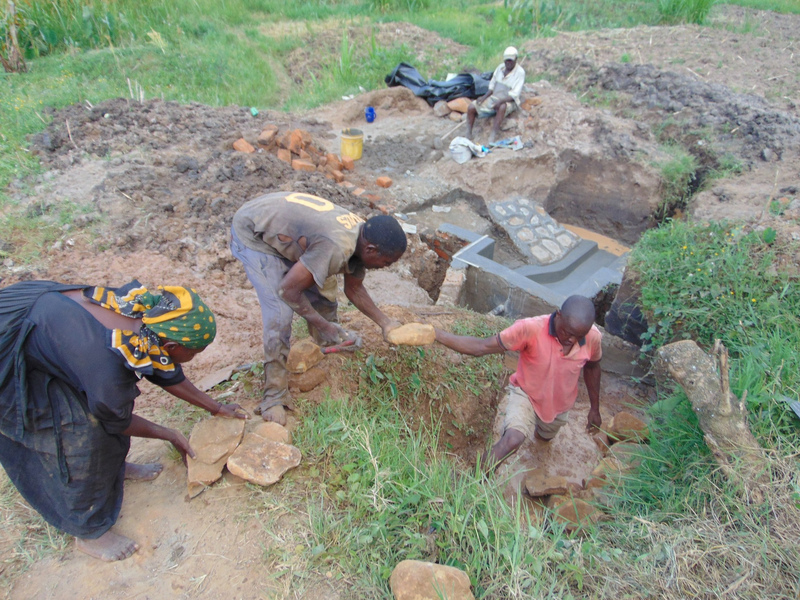 Community members also hosted our artisans for the duration of construction. We worked with community member John Shisia to let everyone know about the importance of hygiene and sanitation. 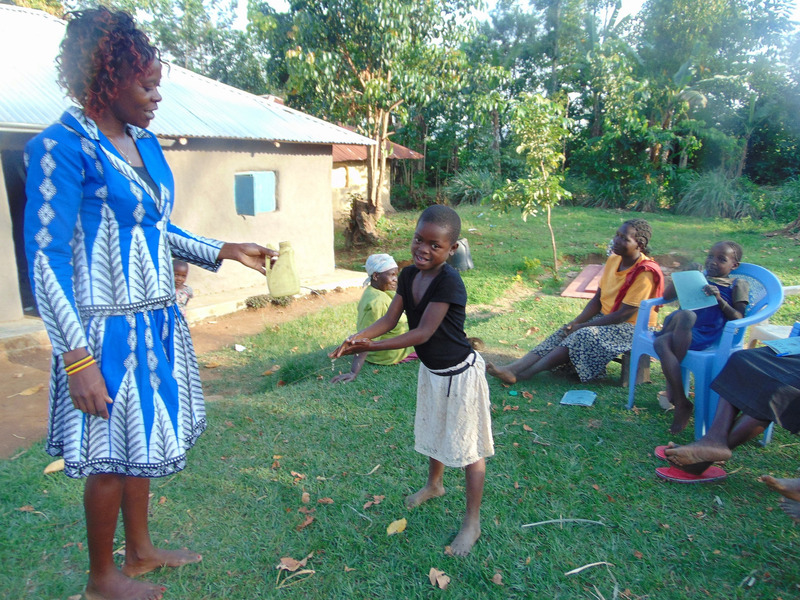 Mr. Shisia went door to door to invite each spring user to attend training where they could learn about good health. 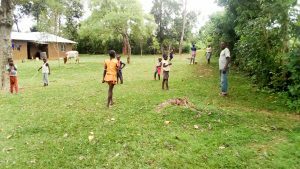 We held training outside under the shade of trees since there was a cool breeze. 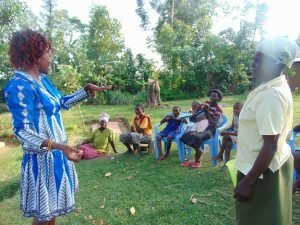 Participants were reluctant at first because they thought the trainer might speak a foreign dialect. Once the trainer started talking in their native tongue they got excited about the sessions. 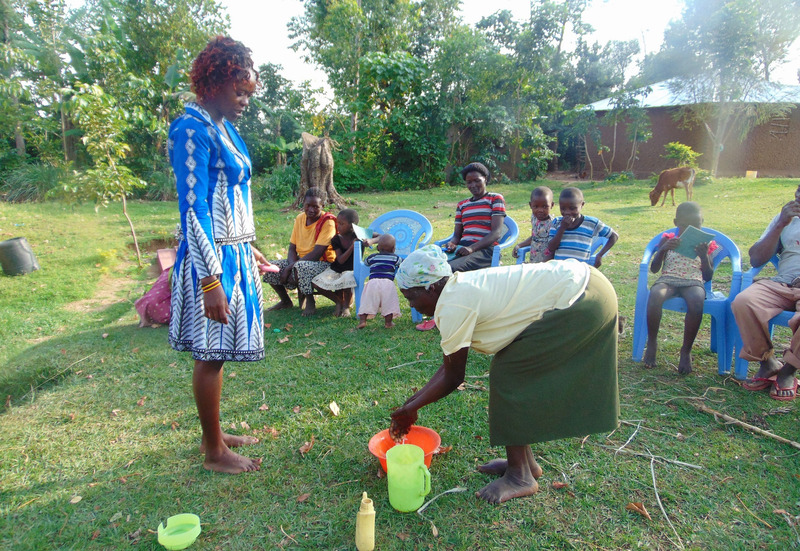 This topic was special as the participants got to try out how to wash their hands the correct way. 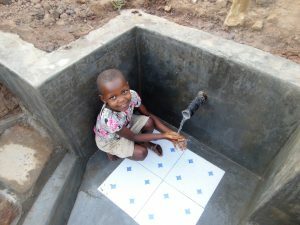 The little ones seemed to enjoy it the most and wanted to do it over and over again. 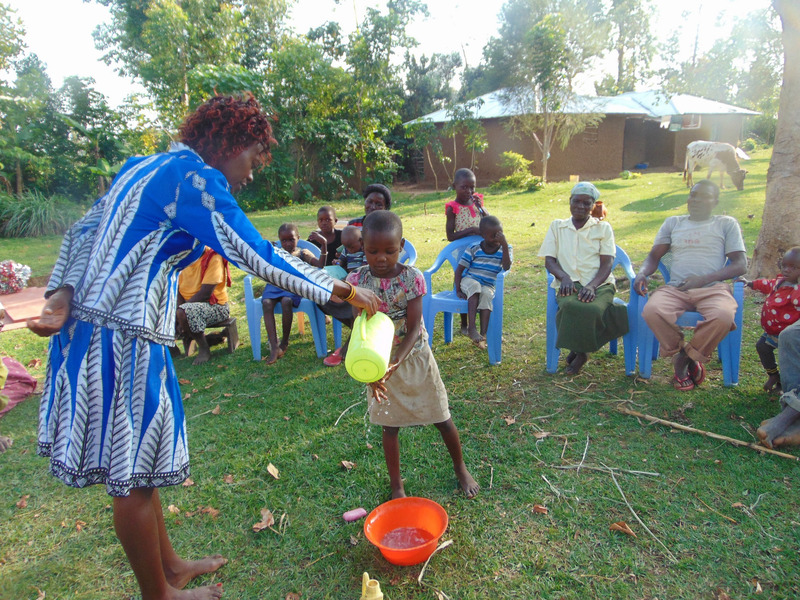 Community members were also educated on how to handle water safely – from the moment it’s drawn at the spring to the point it is consumed at home. 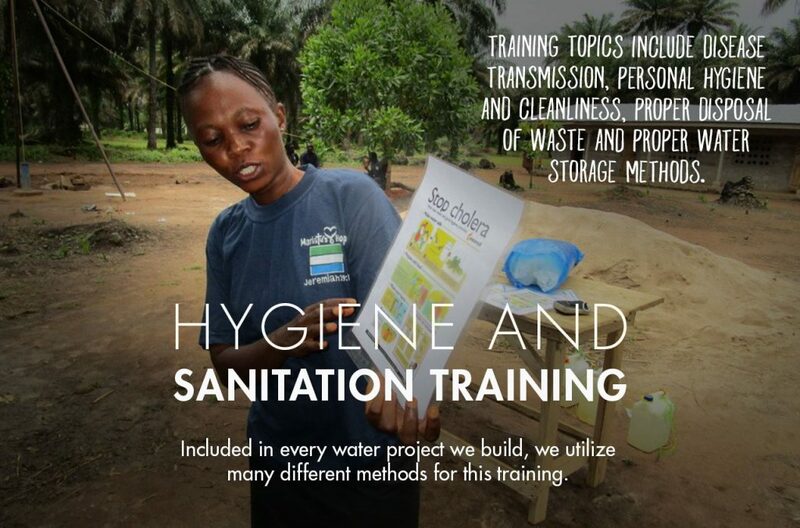 The facilitator was able to mention some of the do’s and don’ts during water handling. The community members were encouraged to cover their stored water and keep the containers clean. “From today’s training, I have learned that my family has always eaten with dirty hands since we all wash our hands in one small basin with water that is not running. 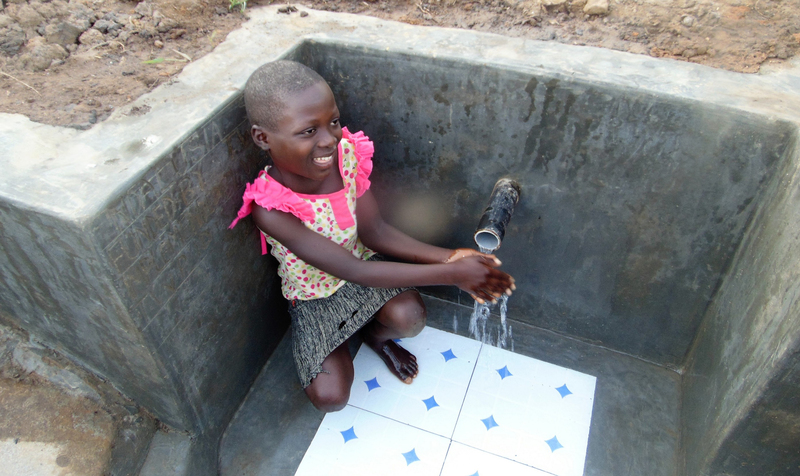 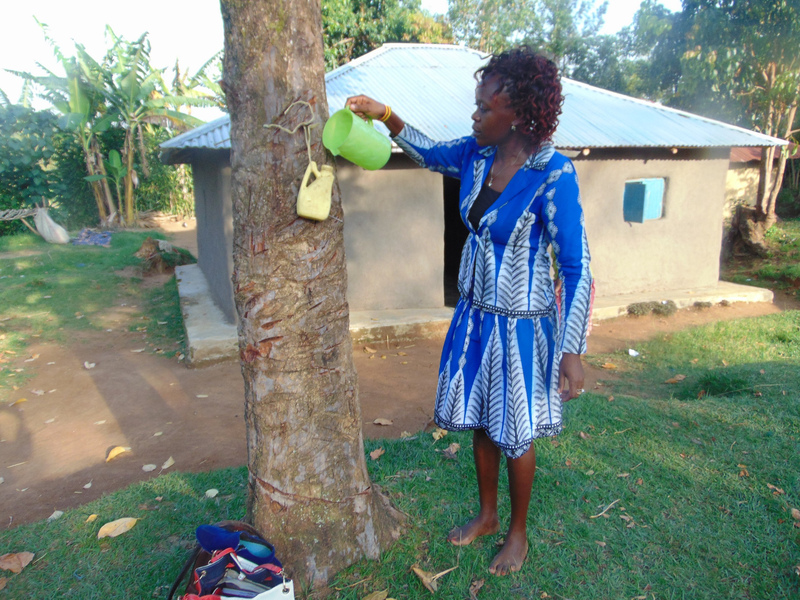 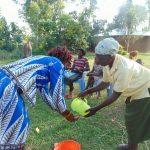 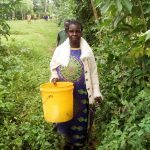 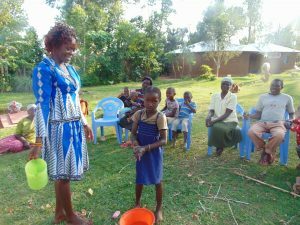 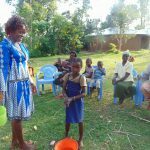 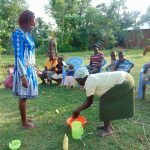 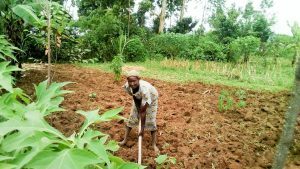 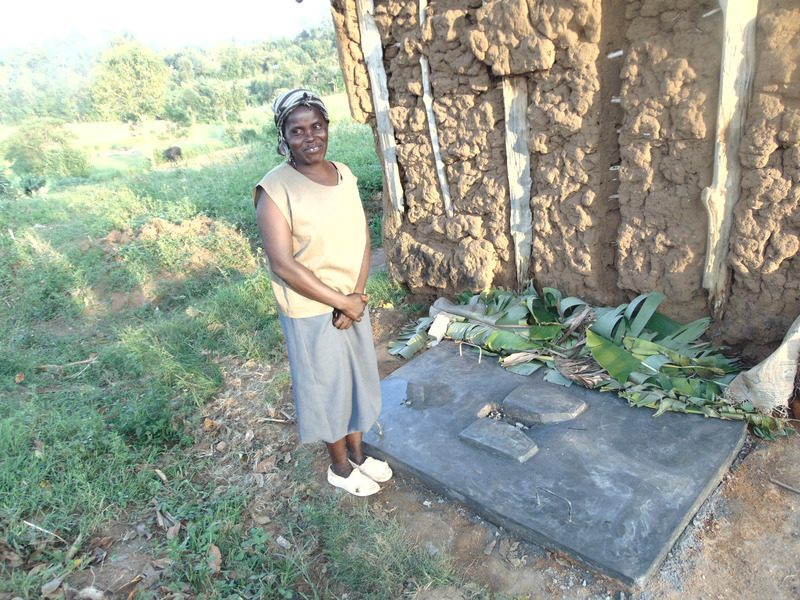 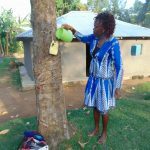 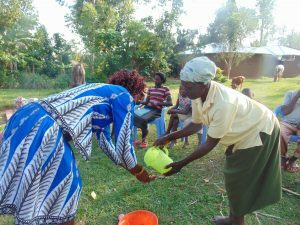 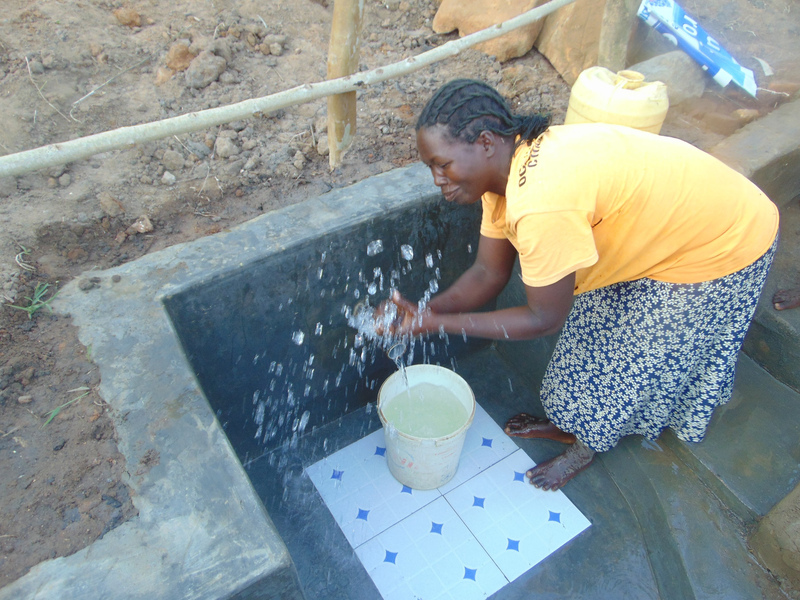 I will always use running water to ensure that we eat food with clean hands,” said Mrs. Shisia. 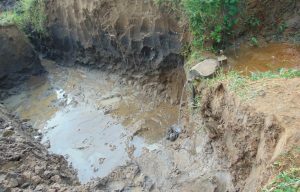 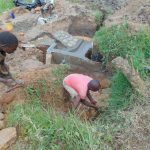 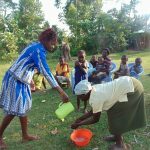 Dirty water from Ndalusia Spring is making people in Musango Community sick. 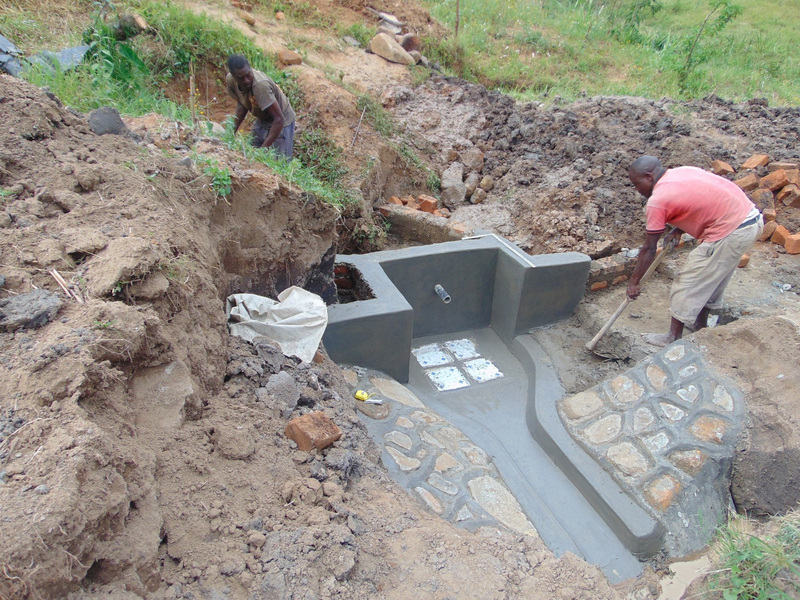 Thanks to your generosity, we’re building a clean water point and much more.